Which German startups received investment this week and which closed up shop? The Munich-based same day delivery service Tiramizoo announced a new investment round. The round was led by Shell Technology Ventures with participation from existing backers Daimler, DPD, Bayrische Beteiligungsgeschsellschaft and Bayern Kapital. Tiramizoo’s co-founder Michael Löhr explained that 59 per cent of the startup are now in corporate hands; he did not share the size of the current investment round. Tiramizoo only has a few drivers and mostly connects businesses with couriers. A 1 million euro investment round led by Round Hill Capital, 500 Startups and Elkstone Capital will help Factory, the Berlin-based co-working space and startup community, expand to Lisbon. Factory (Berlin) was once known for its large campus at Bernauer Straße in Berlin, which has hosted companies, such as SoundCloud and Google. However, when Factory’s two co-founders went separate ways, the Factory team sold its assets and contracts associated with Factory Berlin in 2015. One of the co-founders, Simon Schaefer, went on to build the new co-working place (now called Silicon Allee, the formerly acquired startup blog). Christian Reber of 6Wunderkinder and the Company Builder Makers also participated in the round. Bitstars, a virtual reality startup founded in Aachen, Germany, raised $2.25 million and launched Holobuilder, a new project that let’s customers digitize construction projects in 360 degrees. The 5-year-old startup has been in the US for two years, and received investment from Brick & Mortar Ventures and Tandem Capital. The Berlin-based startup Mycs known for producing personalized furniture raised €10 million with the help of Rocket Internet and Project A-partners, Florian Heinemann and Uwe Horstmann. Mycs says the Series A funding round will be used to further expand product selection and add more showrooms. Skoove, a platform for learning how to read music, received 1.2 million euros from Egora Holding and Investionsbank Berlin. 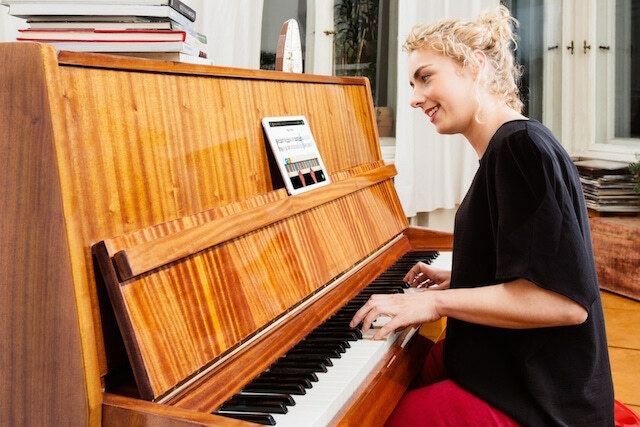 The virtual piano teacher is also available now available on iOS, helping people learn how to play the piano whenever and wherever they want. The Munich-based startup Cobrainer closed a 7-digit seed round with the help of Bayern Capital, Vogel Ventures and two business angels, Andy Goldstein and Michael Brehm. The startup helps company’s tap into their true potential by identifying their most valuable assets and expertise gaps. Twitter has shut down its office in Berlin. The shut down is said to have occurred in December and several of Twitter’s Germany-based employees also left the company. The Twitter team was comprised of 20 people and based in the first floor of Factory Berlin.